Chairman and member of the board since 2017. Education/experience: Thomas Pollare has a M.D. from Karolinska Institutet and a Ph.D. from Uppsala University, Sweden. Thomas Pollare was previously a partner at the Venture Capital company 3i. He has held VP-positions at both Pharmacia Corp. and Schering-Plough Inc. He was responsible for market approval of several pharmaceutical products in several different therapeutic areas that have generated billions in yearly sales. Previous experience from boards in both start-up companies and private equity investments. Current assignments: Chairman of the board and CEO of Oncolution AB. Chairman of the board of Bio-Works Technologies AB, AC Intressenter AB, Sinfonia Biotherapeutics AB, AlzeCure Discovery AB and AlzeCure Foundation. Board member of SSI Diagnostics Holding A/S, Pharmaceuticals Sales & Development Sweden AB and Psilox AB. Board alternate at Bio-Works Sweden AB. Completed assignments (last five years): Chairman of the board of QuiaPEG Pharmaceuticals AB and QuiaPEG Pharmaceuticals Holding AB. Board member of Cerno Scientific AB, Premacure Holding AB, Premacure AB, Xellia Pharmaceuticals ApS, Centro Gamma Knife Santiago S.a.P Chile, Gamma Knife Center Ecuador S.A, PT GammaKnife Center Indonesia, Cancun Oncology Center S.A.P.I de C.V Mexico, Center de Neuro-radiocirurgia Gamma Knife San Javier S.A de C.V Mexico, Center Oncologico y de Radioterapia TEC 100 S.A.P.I de C.V Mexico, Centro Gamma Knife Domnicana S.R.L. och Sweden Ghana Medical Center Ltd. CEO of Global Medical Investments GMI AB. Ellen has a long experience from the pharmaceutical industry where she held several senior roles at Pfizer. She is currently CEO of Modus Therapeutics AB. At Pfizer, Ellen was responsible for the operational clinical work for project portfolio within Neuroscience and Pain, a portfolio that constituted about 20% of the total project portfolio at Pfizer which was the largest Neuroscience-portfolio within the pharmaceutical industry. Current assignments: CEO of Modus Therapeutics Holding AB (publ) and Modus Therapeutics AB. Completed assignments (last five years): None. An has a long experience of industrial drug development and has held several management positions within Clinical Development, Medical Affairs, Business Development and Commercial at Sobi, Eli Lilly, Roche, Pharmacia & Upjohn and Biotech companies in USA, Holland, Schweiz and USA. 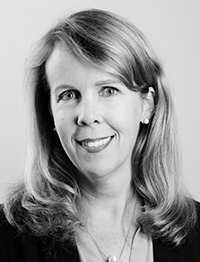 She has a broad expertise in Global Development and Clinical Operations. Current assignments: Member of the board of Van Es Consulting AB and BioInvent International AB. VP Medical Affairs at Swedish Orphan Biovitrum AB. Education/experience: Ragnar Linder has a civil engineering degree in chemical technology from the Royal School of Technology. Ragnar is a co-founder of Pygargus, a research company within the Real World Evidence area, that was acquired by IMS Health (now IQVIA) in 2013 and where Ragnar since then have held leading positions. 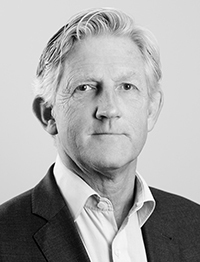 Ragnar has also held several leading positions at Amgen Nordic (CEO), Aventis, HMR and Hoechst. In addition, Ragnar has been a member of the board of several biotech, pharmaceutical and CRO companies. Ragnar is currently an independent consultant. Current assignments: Member of the board of R. Linder Holding AB. Completed assignments (last five years): Member of the board of Umecrine Cognition AB and Pygargus AB. Education/experience: Pirkko Sulila Tamsen has a Ph.D. in zoophysiology from Uppsala University, an MSc in biology and chemistry from Uppsala University, a Certificate from StyrelseAkademin and a Certificate in Marketing and Diploma in Business Economics from Företagsekonomiska Institutet in Stockholm. 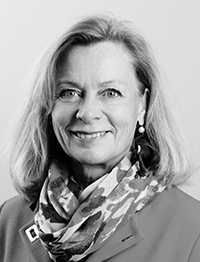 Pirkko is a shareholder and consultant in Arandi Innovation AB, a board member in Örebro Universitet Holding AB and in start-up companies originating from academic research. 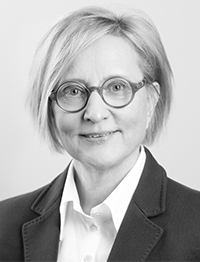 Pirkko has many years’ experience from major pharmaceutical companies, as CEO and shareholder in a clinical contract research company and from development companies in the pharmaceutical sector and research, entrepreneurship and leadership in knowledge companies. Pirkko was previously the CEO of Dilaforette AB (currently known as Modus Therapeutics) and Head of Uppsala University Innovation (UU Innovation). Current assignments: Chairman of the board and board member of Arandi Innovation AB. Chairman of the board of Curenc AB. Board member in Örebro Universitet Holding AB, Örebro Universitet Uppdrag AB, Örebro Universitet Enterprise AB, HepaPredict AB and C26 Bioscience AB. Deputy board member and deputy CEO of Arandi Development AB. Completed assignments (last five years): Board member in Rapp AB. Board member in Karolinska Institutet Innovations AB and Uppsala universitet Innovation Tools AB. Deputy board member and deputy CEO of Arandi Holdings AB. CEO of Dilaforette AB and NovaSAID AB. 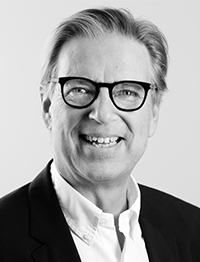 Board member of Uppsala Berzelii Technology Centre for Neurodiagnostics. Holdings in AlzeCure Pharma AB as of December 31, 2018.